Smoothies have to be the easiest, tastiest and healthiest foods to enjoy in your day. Whether you want an energising boost before the gym, a protein hit afterwards, something to sip on as you get ready for the day or sit in traffic, or as the perfect morning or afternoon treat. They’re packed full of vitamins, and blending fresh fruits, vegetables, nuts and seeds ensures you get as much of the essential nutrients and minerals as your body craves. Plus, smoothies are a fast way to increase your intake of your 5+ fruit and vegetables a day. Unlike juicing, blending a smoothie from whole food ensures you’re ingesting all the amazing fibres. You can get creative with any recipe too by adding chia, hemp and linseeds, cashews, walnuts, almonds and hazelnuts, avocados, the yoghurt of your choice for an extra protein hit, or your favourite protein powder. You’ll also be loading up on antioxidants, especially from red berries, which help to prevent cell damage and premature ageing. And your smoothies can be as creative as you want them to be! Go wild!!! Last year we invited you to share your favourite recipes with us thanks to The Hits radio and we received more than 800 almondlicious smoothie recipes made with Almond Breeze almond milk! 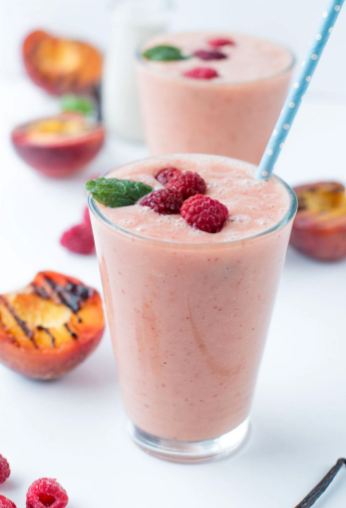 We asked the Bite team to choose their top for four for people to vote on, and after 10,000 of you voted, we had our winner: Marieka Curley from Wellington with this fab recipe: Raspberry and Coconut Smoothie. 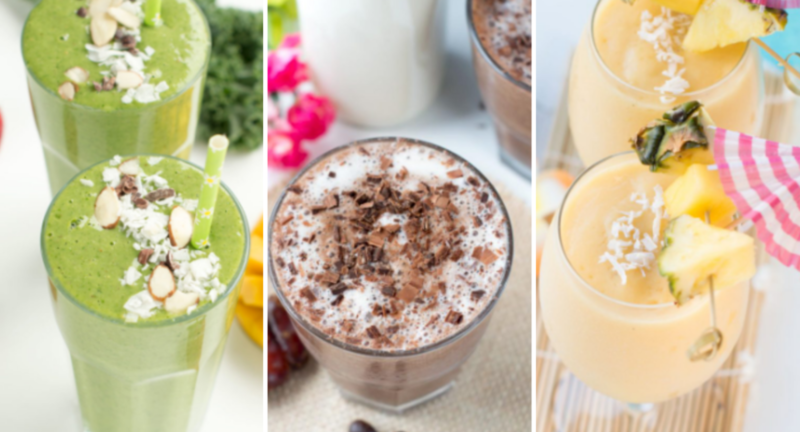 And of course, we can’t keep all these incredible smoothie recipes to ourselves, so to kickstart your healthy spring, here are 5 amazing smoothie recipes made from the best California almonds, created by Kiwis, to keep you perky all week long! This is the perfect elixir after a glorious weekend spent with friend and family in the summer sun. 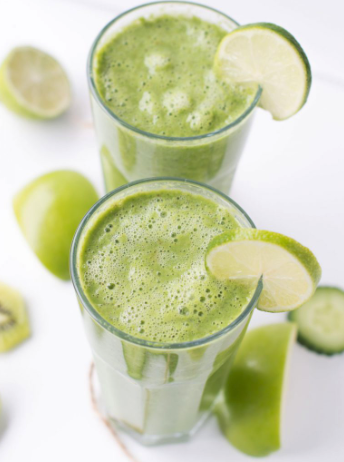 The green goodness of spinach leaves, kiwifruit, apple and cucumber will nourish and purify, and ginger and turmeric will give you superpowers to smash that presentation or WOW that new client. You’ll wonder how you lived without it! 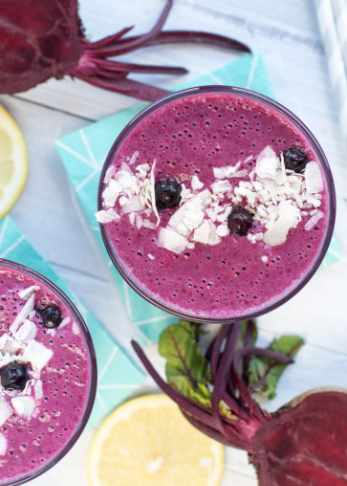 There’s nothing you can’t do when you’re powered up with this purple smoothie full of essential vitamins and nutrients designed to make you ace your day and energise everybody you connect with. Today, you are electric!! There is no such thing as Hump Day with this glorious mid-week pick me up! 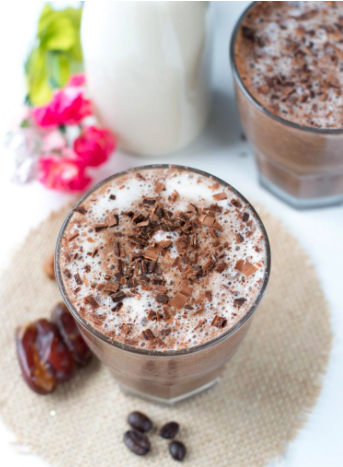 A caffeine perk combines with the deliriously delicious delights of cocoa and dates to sweeten your world, whatever the day holds. The weekend is within your sites and so if healthy fibre from summer season peaches and raspberries. Throw in a few fresh-picked basil leaves and be transported to another world. PS… one more sleep ’til Friday! 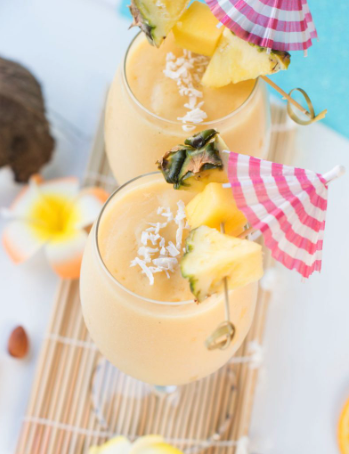 This smoothie is the perfect weekend kickstarter packed full of zesty vitamins with five delicious summer tropical fruits designed to put a smile on your dial to last all weekend long. And who would be to judge if a little vodka sneaks after 5pm? Grab Your 5-Day Smoothie Chart now! 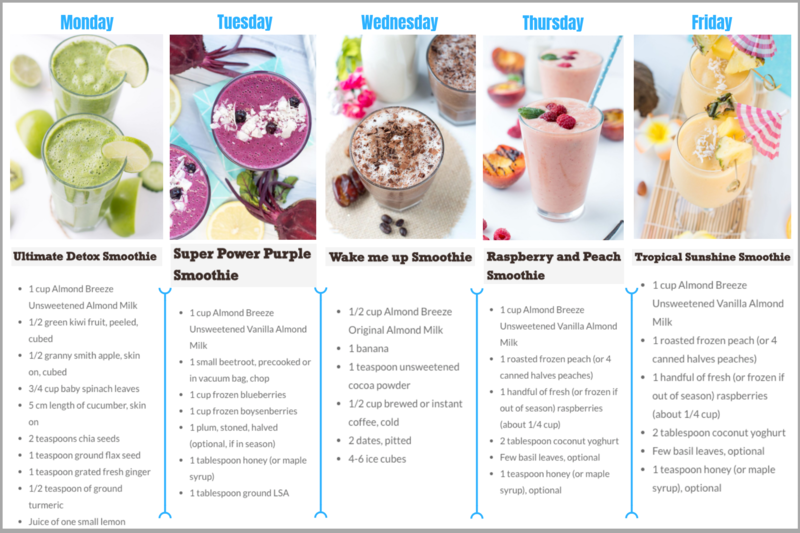 Print our ultimate smoothie 5-day inspo chart below. Stick it on your fridge at home and work to enjoy gorgeous smoothies every day of the week! To print: Right click on image, copy and paste to a blank doc in landscape mode and print. EASY! Discover more delectable smoothie recipes to last all summer long, here!